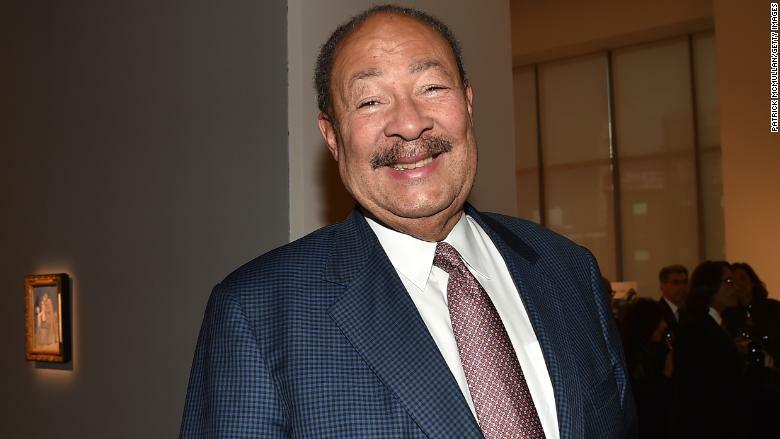 Richard Parsons, who joined the CBS board earlier this year, is now the board's "interim chairman." "I think I speak for all Board members when I say I look forward to learning more about CBS' compelling opportunities and how we can help guide and support the company's growth," Parsons said in a statement. Shari Redstone, whose company National Amusements has the controlling stake in CBS, played a pivotal role in bringing Parsons to CBS. Redstone is consolidating her power now that longtime CBS CEO Les Moonves has stepped down. Moonves and Redstone were locked in a power struggle earlier this year. Moonves exited the company after two stories by The New Yorker's Ronan Farrow alleged incidents of sexual misconduct in his past. Moonves called the allegations "untrue" and suggested that the claims were coming up "as part of a concerted effort by others to destroy my name, my reputation, and my career." His exit on September 9 coincided with the settlement of the litigation between CBS and Redstone. The board was also reshaped at that time. And the changes continued on Tuesday. Two veteran board members, Bruce Gordon and William Cohen, stepped down, according to the announcement. According to The New York Times, both men supported Moonves after Farrow's first story came out. James B. Stewart's story in The Times opened with a quote, attributed to Cohen, staunchly defending Moonves: "We are going to stay in this meeting until midnight if we need to until we get an agreement that we stand 100 percent behind our C.E.O., and there will be no change in his status." According to Stewart's story, Gordon was also initially "opposed" to suspending Moonves.